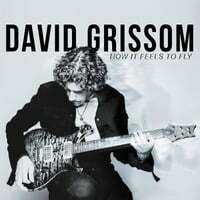 David Grissom Wide Open Blues Rock Guitar Masterclass! I'm excited to be teaching a 6 hour guitar master class at Six String Ranch in Austin, TX April 13th, 2019!! The course will cover my approach to soloing and rhythm playing, tips on how to break out of the playing ruts we all get into, and how to use and select your gear to get the tone you want. We’ll go over my approaches to blues, rock, and Americana, focusing on the techniques and sounds that define my style. We’ll study the styles of the 3 Alberts…..King, Collins, and Lee, taking a look at the key elements of their styles. I’ll show you how I’ve incorporated their influences into my playing focusing on vibrato, tone, and string bending techniques and tips. I’ll discuss my approach to scales and improvising, and we’ll take an in depth look at how I do pedal steel bends in all styles of music. I’ll explain my approach to rhythm playing: how to get a bigger and more in tune sound, and how to break out of the barre chords that we all start out with. I’ll show you how to use capos and baritone guitars to open up the sounds you use and inspire your songwriting. I’ll share my stories of “how I got the gig” and discuss the skill sets required for touring and studio work. I’ll bring my rig to show you how I use my gear in the studio, and there will be lots of question and answer throughout. This will be an all day workshop with a break for lunch and the cost is $260. Class size will be limited. SOLD OUT THANK YOU! Podcast with Everyone Loves Guitar! I had a fun morning doing this podcast with my good friend Shane Theriot! Podcast with Amps and Axes! Great stuff from Mick and Jeff! New song out this Friday! I have a new single "Slow Me Down" coming out this Friday! You can pre order here and check it out in my music player here! Big Thanks! Very nice article from the folks at Truefire! I'll Be teaching a workshop with Jeff McErlain all day on April 9th! Open Road Blues is available from TrueFire in two formats (Download and Disc/Download) and features nearly three hours of video instruction, tab, notation, jam tracks and more! My Truefire "Open Road Guitar" Video Course is here!! I'm really excited to be working with Truefire, and very glad to have a new updated Video course available. I put a lot of time and thought into the course and the Truefire production team is as good as it gets..
Nice interview from a cool guitar site! My 4th solo release that features 8 new Studio tracks and 4 Live cuts, all with my incredible Austin band. David is pleased to be part of the Guitar Workshop Plus program once again this year. I have a new Pedalboard! I've had a lot of questions about which guitars and amps I used on Way Down Deep...so here is a pretty good summary. I'll post some photos later. The new CD is out!! New videos posted.......on the video page!